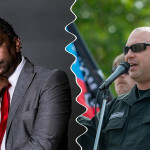 The head of one of the nation’s longest-running neo-Nazi groups recently turned control of the organization over to an African-American ordained minister who wants to dismantle the group from the inside. But the story gets much weirder than that. Democrats on the House Judiciary Committee on Monday announced a sprawling investigation into the Trump administration’s “threats against the rule of law,” requesting documents from some 81 individuals, corporations and entities associated with President Trump’s 2016 campaign, presidential transition and tenure in office. Michael Flynn will be a “principal witness” in the trial of his former business partner indicted for illegal foreign lobbying, according to court documents filed Friday. In the filings, lawyers for Bijan Kian said that they needed to know exactly what the former U.S. national security adviser-turned-cooperating government witness told federal prosecutors. Specifically, they want “all statements, transcripts, notes, records and memoranda” from federal prosecutors relating to anything Flynn told “any agent, employee, representative or elected official” of the US government. Kian’s attorneys argue that the false statements Flynn made to Vice President Mike Pence and the FBI about his contacts with Russian officials, for example, damage his “credibility” as a witness. The lawyers are also subpoenaing Covington and Burling, the D.C. law firm that worked with Flynn Intel Group, for a slew of documents and communications. They suggest that Covington attorneys violated attorney client privilege by divulging to the government, without Kian’s consent, information about the firm’s failure to register under the Foreign Agents Registration Act for its work for the Turkish government. Kian is also sometimes referred to by his full last name, Rafekian. 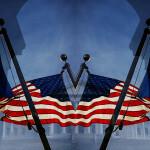 “The documents requested from FIG’s outside counsel will allow the defense to develop at trial whether FIG’s outside counsel (i) gathered from Mr. Rafiekian information that he believed was privileged and (ii) used that otherwise privileged information that was obtained from one shareholder (Mr. Rafiekian) for the exclusive benefit of another shareholder (Mr. Flynn) in an admitted effort to reduce Flynn’s sentence in the case to which he has pled guilty in the District of Columbia,” the attorneys write. Kian was indicted in December for allegedly acting as a foreign agent and conspiracy for his work on a project to discredit and extradite a U.S.-based Turkish cleric loathed by Turkey’s government. He pleaded not guilty. Flynn entered into a plea agreement with special counsel Robert Mueller and other federal prosecutors in December 2017. He has admitted to lying to the FBI about his contact with Russian ambassador Sergey Kislyak and lying to federal prosecutors about the work he and Kian did at Flynn Intel Group. Flynn is continuing to provide “substantial” assistance to various government investigations, according to Mueller’s team, and has not yet been sentenced. 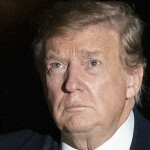 House Democrats will send the IRS a request for at least the past 10 years of President Trump’s personal tax returns within weeks, NBC News reported Friday. In electrifying testimony before the House Intelligence Committee, Michael Cohen accused President Trump of personally signing checks reimbursing Cohen for their hush money scheme after he’d taken office. Cohen testified that Trump was intimately involved with the Trump Tower Moscow project during the 2016 campaign, and that Trump’s lawyers changed the text of Cohen’s congressional testimony about the development. To top it off, Cohen claimed under oath that Trump routinely engaged in tax and insurance fraud. Cohen brought copies of the reimbursement checks and Trump financial statements to bolster his account. 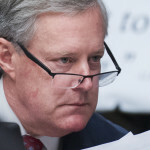 The reaction to his explosive seven-hour hearing was split along party lines. House Oversight Chairman Elijah Cummings said that “it appears” from Cohen’s testimony that Trump committed a crime while President. 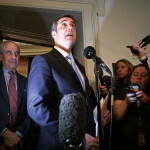 Republicans on the committee, meanwhile, trotted out black Trump admin official Lynne Patton to disprove Cohen’s claims that Trump is racist, and insisted that the public should not believe the testimony of the lying criminal the President handpicked to serve as his personal attorney for over a decade. Cohen also testified behind closed doors to the House and Senate Intelligence Committees. He’s set to appear before the House Intel panel for another session on March 6, and ex-Trump associate and Trump Tower Moscow collaborator Felix Sater will testify at a public hearing on March 14. 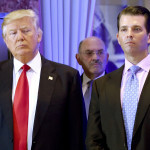 Congressional Democrats also want to bring Trump Organization CFO Allen Weisselberg and possibly Ivanka and Donald Trump Jr. in for interviews after Cohen testified that they were well aware of Trump’s wrongdoing. Florida Rep. Matt Gaetz wants everyone to lay off Cohen’s family, after he himself sent a tweet threatening to expose Cohen’s secret “girlfriends” ahead of the Wednesday Oversight hearing. Trump’s campaign and the White House have dismissed Cohen’s account as the unreliable flailing of a convicted liar. But the President wants his lawyers to stick around after the special counsel report comes out, suggesting he knows that the federal probe in New York Cohen is assisting poses a real threat to him. The redacted search warrant materials in that case will be made public pending a judge’s review. Trump Jr. is insisting no one committed “actual crimes,” but instead just got into some hijinks “in past lives” before they got into politics. Ahead of Paul Manafort’s March sentencing, Robert Mueller urged a judge to consider the “gravity” of his crimes and issue a harsh sentence. A subsequent redacted filing suggested that ex-Manafort associate Rick Gates provided additional evidence that may be beneficial to Manafort. U.S. District Judge Amy Berman Jackson rejected Roger Stone’s motion to hold a hearing on whether Mueller’s team tipped off CNN before his Jan. 25 arrest. House Intel Chair Adam Schiff said Democrats will subpoena Mueller’s report if Attorney General Bill Barr does not release it in full. And a new report from the Post showed that Russia’s meddling in U.S. elections is far from over. On the day of the 2018 midterm elections, U.S. Cyber Command shut down the servers of the Russian government’s troll farm to avert any interference. 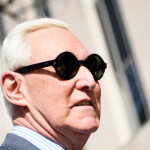 Federal prosecutors anticipate that the trial of Roger Stone will take just five to eight days to complete, according to a Friday court filing. Virginia lawmakers came together this past weekend to pass—by overwhelming, bipartisan margins—a proposed constitutional amendment to overhaul how political lines are drawn in the commonwealth. Who helped orchestrate an elaborate cover-up scheme to conceal hush money payments made to Trump’s lovers during the 2016 campaign? Lawmakers posed this question to Michael Cohen at his Wednesday congressional hearing. Federal prosecutors on Thursday submitted redacted search warrant materials in Michael Cohen’s case to Judge William Pauley III. Pauley will now review and sign off on the requested redactions before making the materials publicly available. Congressional Republicans went so far out of their way to try to smear Michael Cohen at Wednesday’s House Oversight Committee hearing that Cohen himself called them on it.